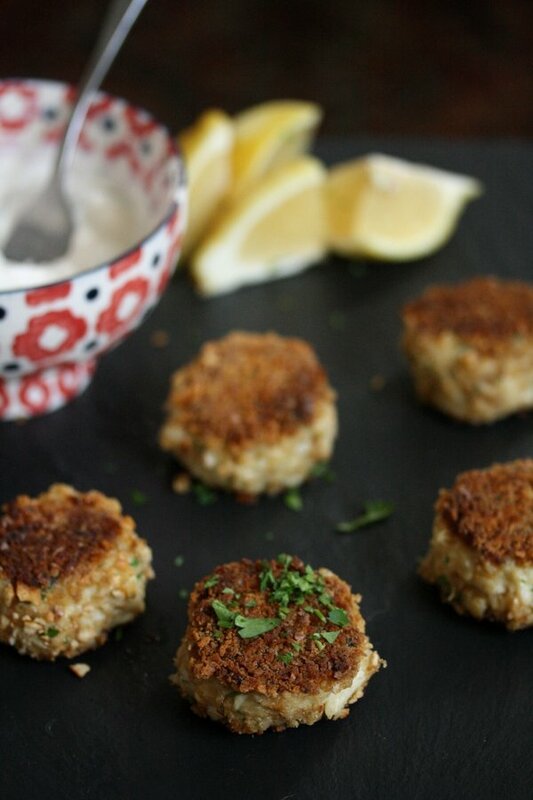 This summer, I had big plans to finally cross crab cakes off my list of things to gluten-free-ify. 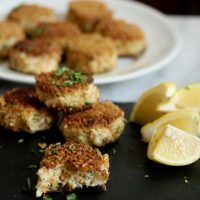 In preparation, I scoured the interwebs and virtually devoured many classic Maryland crab cake recipes, which use a much higher ratio of crabmeat to breadcrumbs than the usual hockey pucks at TGI Fridays. But making that simple crumb replacement seemed too easy. 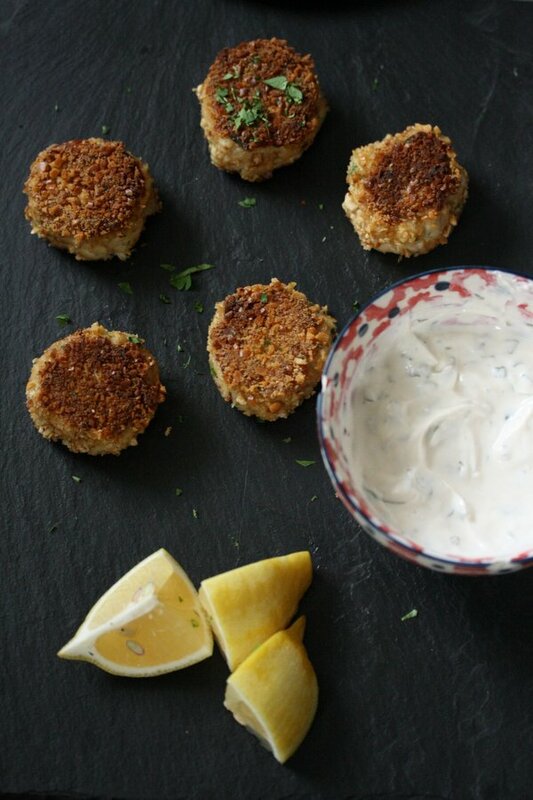 So without a more clever solution, I put gluten-free crab cakes back on the shelf and, instead, satisfied my cravings for creamy, indulgent shellfish with this dip. But earlier this fall, I found my answer flipping through my friend Silvana Nardone’s new cookbook. We were featured together in Food & Wine’s digital awards and finally got to meet at Dana Cowin’s cookbook party. The dish I presented that night, my gluten-free meatballs, had gone through similar iterations of mental pushups. And I told the group that I had finally found the perfect breadcrumb substitution in gluten-free oats. 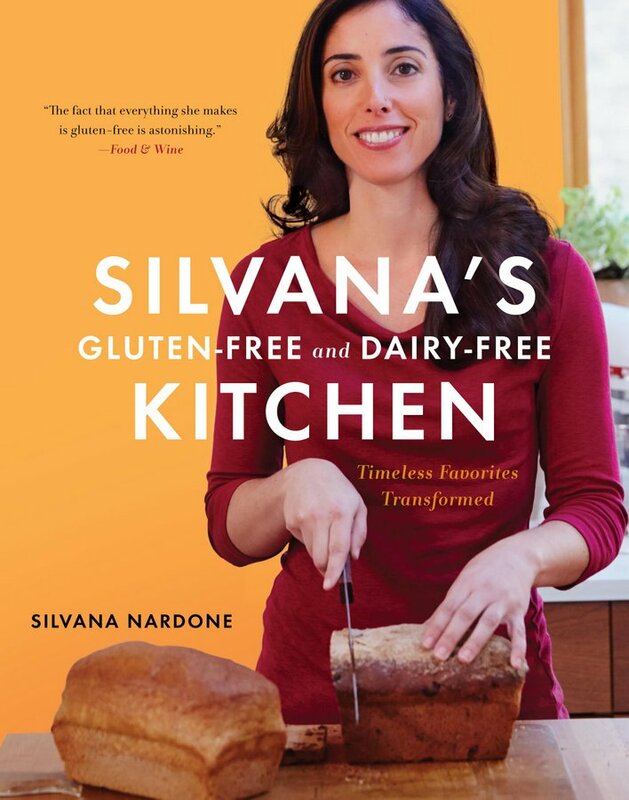 Having spent the last five years tinkering away in the kitchen to find gluten-free and dairy-free replacements for her son’s favorite foods, Silvana understood my allergen angst. 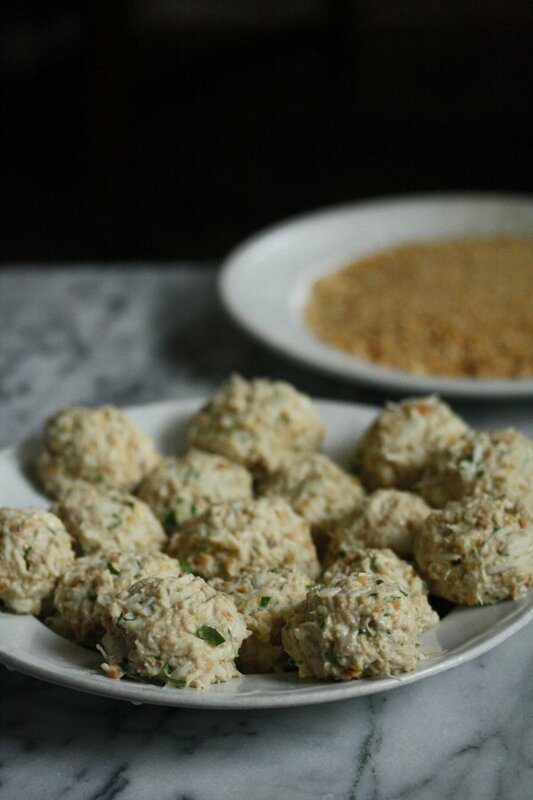 My meatball question was similar, she said, to her quest for the perfect gluten-free crab cake, which she created using ground gluten-free pretzels. 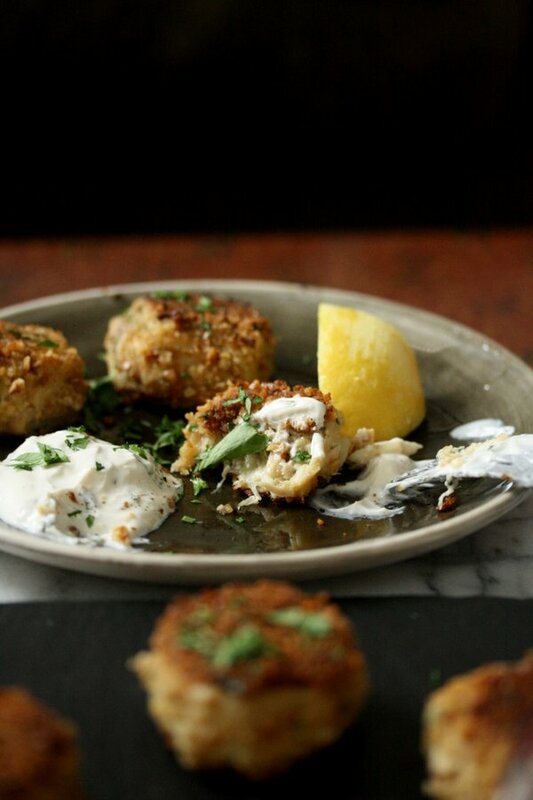 I knew with the holidays on the horizon, I had to try Silvana’s crab cakes immediately. 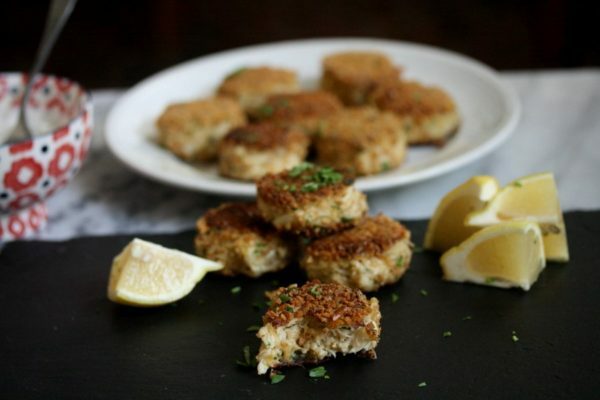 When I finally made them, they had the best of both crabilicious worlds: crispy and crunchy on the outside, like all the most glutinous fast food varieties, and creamy and meaty on the inside, the way Maryland natives prefer them. There’s just enough ground pretzels in the cake mixture to hold it together, but like the oats in my meatballs, they melt away in the searing process so the crab meat and mayo really do the talking. This is a brilliant technique to try even if you aren’t gluten-free. So pick up some pretzels at the store and give it a whirl. Silvana’s book has amazing baked goods that use her signature multi-purpose flour blend. You can easily make it at home, but for those of you looking to cut some corners, you can now buy her mixes online. 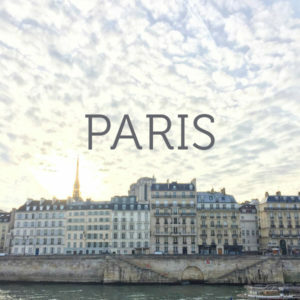 And since it’s the holidays, Silvana has generously offered to give away a free bag of flour and her cookbook to one lucky FMP reader. 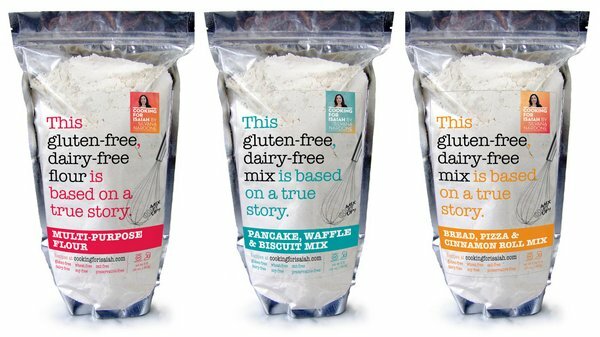 To win a copy of Silvana’s Gluten-Free Dairy-Free Kitchen and a bag of Cooking For Isaiah Multi-Purpose Flour, 1) comment below and tell me your favorite finger food that you’d like to see a gluten-free and/or healthy version of on this site. 2) Sign-up for my weekly newsletter. I’ll announce the winner in an email on 12/21, so make sure you subscribe here. 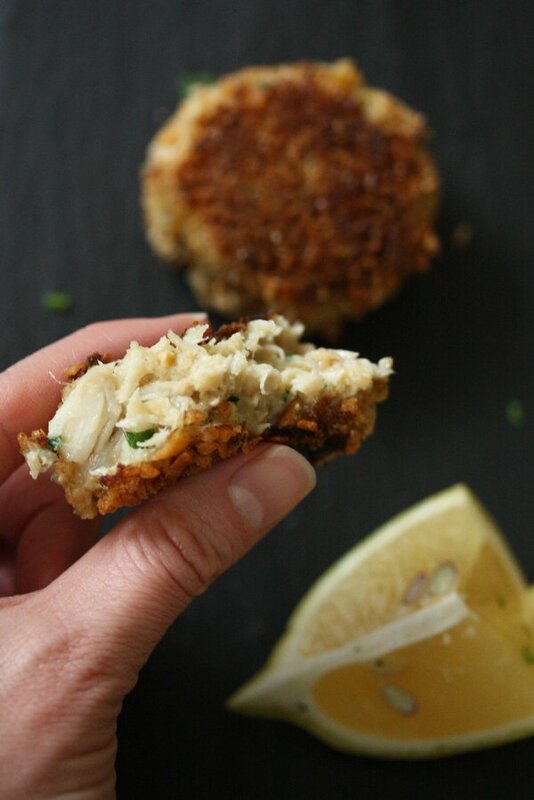 Happy cooking and crab cake eating! 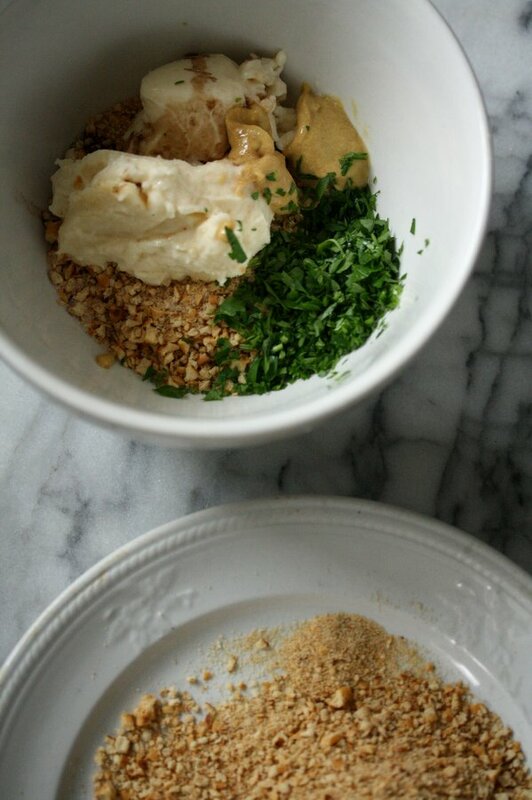 In a large mixing bowl, combine the crab, mayo, egg, ½ cup of the pretzel crumbs, Dijon, Worcestershire, parsley, lemon zest, and ¼ teaspoon salt. 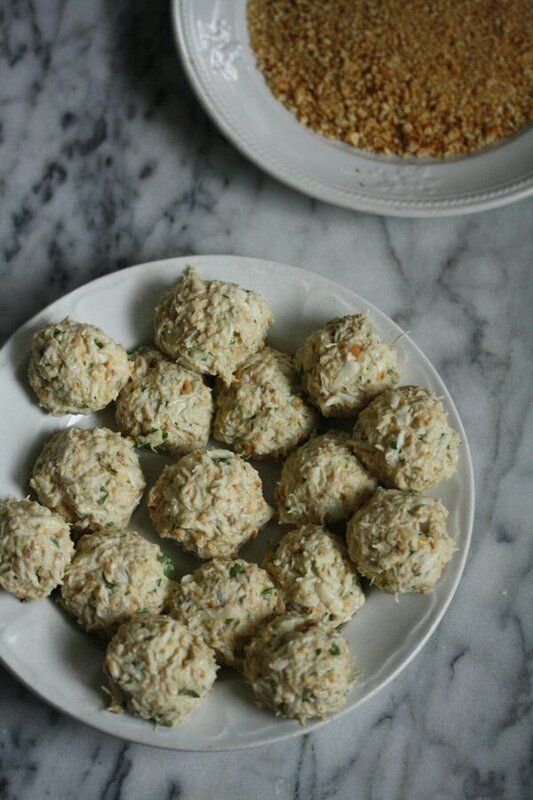 Shape the crab mixture into 16 one-inch cakes. Cover and refrigerate for 1 hour or overnight. Place the remaining pretzel crumbs onto a plate. Dredge the chilled cakes in the crumb mixture. In a large skillet, heat 2 tablespoons of oil over a medium-high flame. 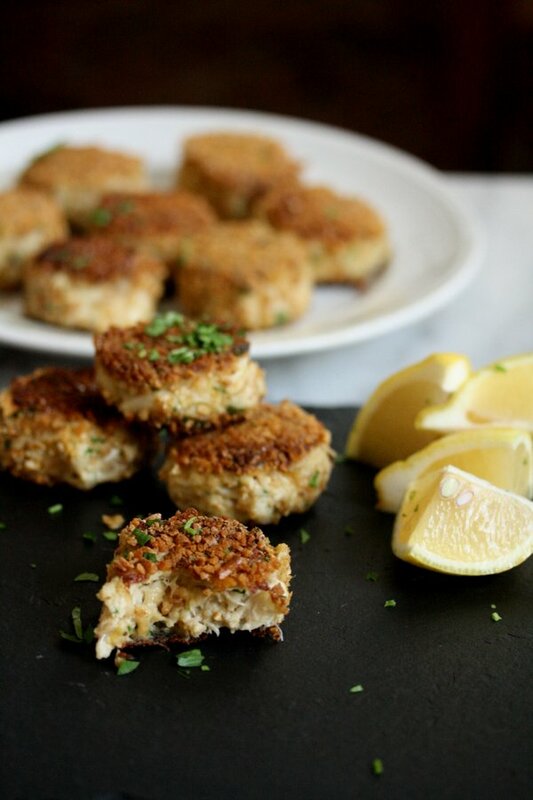 Add half the crab cakes and cook, turning once, until golden, about 2 to 3 minutes per side. Remove to a paper towel-lined plate. Add the remaining oil and repeat with the second batch of crab cakes. Serve warm with your favorite dipping sauce, either sriracha aioli, tartar sauce, or creamy dill dressing. Does this really need the sea salt? I’m not familiar with the GF pretzels but regular ones have a lot of salt on the outside. Just wondering. I used Glutino brand and they did not have much salt. You can definitely cut down on the salt if you’re worried. The Crab is relatively salted as is. My pink sea salt tends to be a little on the mild side, but Silvanna also tested with these measurements. These look and sound fantastic — never would’ve considered pretzels, but love the idea. How about revamping blini to serve with smoked salmon or trout? that’s a GREAT idea! I used to LOVE blinis. I’m sure you can do with buckwheat and another flour. 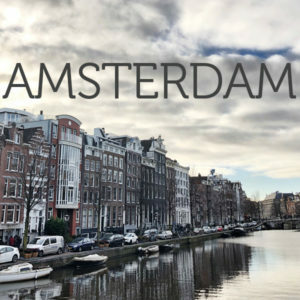 Will add to the list! I was recently at a holiday party where the hosts served what looked like a delicious Mediterranean Parmesan flat bread – would love to see that gluten free and dairy free! That’s so great to hear Rachel. It’s changed mine too. Our 2 year old was having periodic high fevers every three weeks until we switched him to a gluten and dairy free diet. I wouldn’t have been able to do this without her “cooking for Isaiah” cookbook. I would love to see more easy to make breads at home. that’s so great to hear Chrissy. 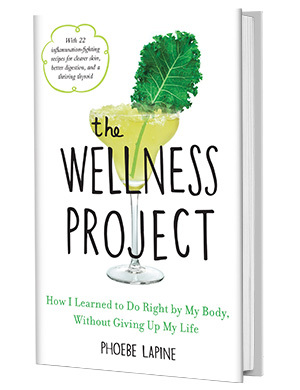 Hope you’ll pick up this cookbook if you don’t win it here! These look great! I’d like to see a good GF fried calamari recipe. 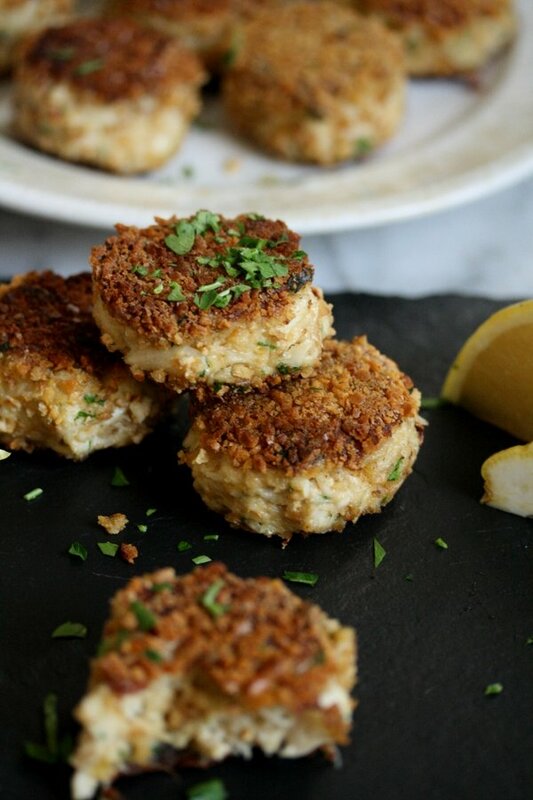 I have never made a crabcake with breadcrumbs…..and I have made a lot of crabcakes in my day! 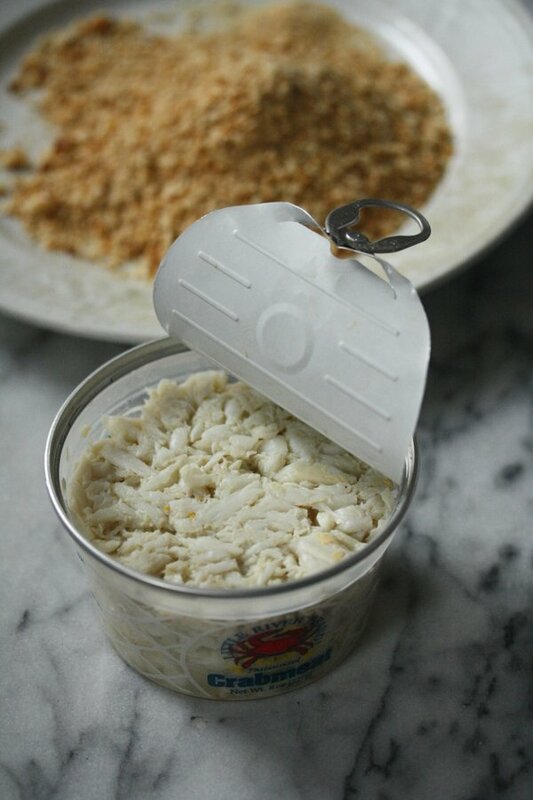 Most authentic Maryland recipes call for 4-5 finely crushed saltines — if they use any filler at all. I use mayo and an egg yolk as binders and that is it. Yes! I think this is a similar concept, though I’ll admit I haven’t tried the saltines. Wish they made those gluten free! i will need to try these. Would not have ever thought youse pretzels. 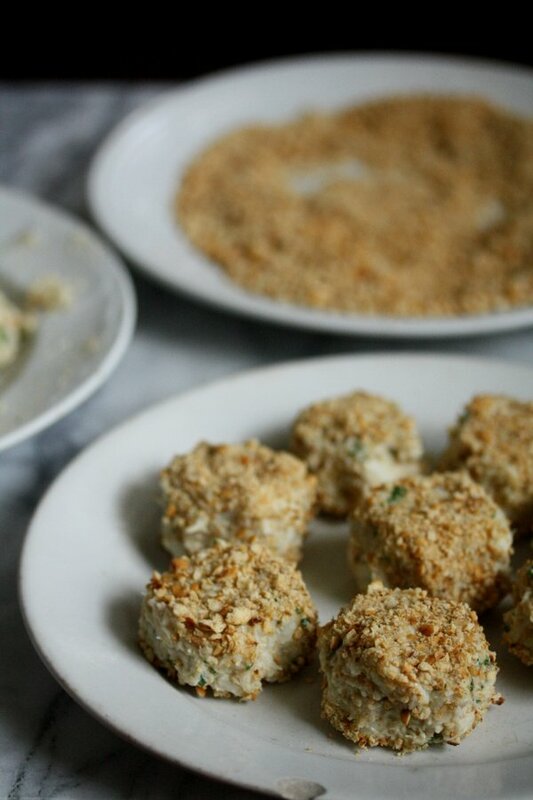 How do you make stuffed mushrooms gluten and dairy? Thank you for a chance to win. CONGRATS Lisa! You won! Please email me your contact info. i would love to see a GF recipe for fried pickles. YES. I’ve done this before but haven’t photographed! Will definitely tackle this soon. How about baked/fried avocado slices? I’ve actually never experimented with these! Will add to the list. Thanks Carol! ooo that would be great! Let me know how they turn out! Ooh. I’d love a healthy version of…hot dips. Those are usually cheese-based, and while I love them, I really can’t eat much. That’s a great idea! Do you have a dairy allergy? 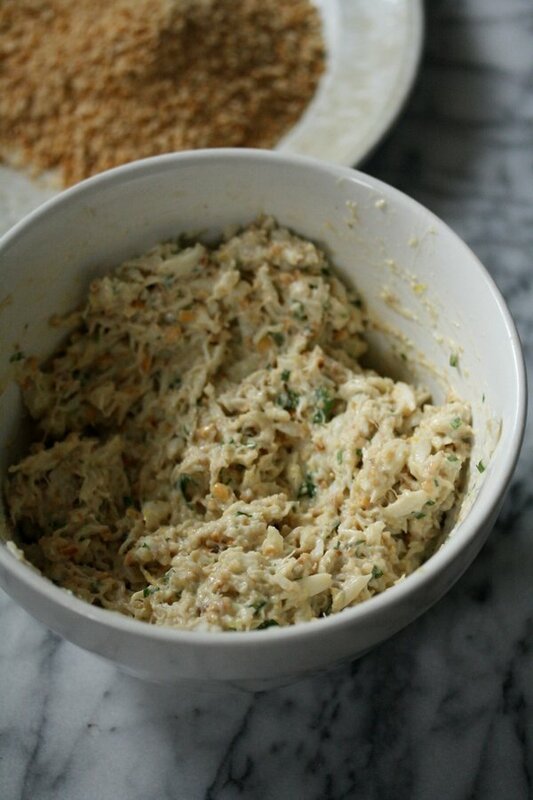 If you can have a little bit, check out my healthy artichoke dip: https://feedmephoebe.com/2013/10/healthy-artichoke-dip-with-corn-cayenne-and-parmesan/ or my hot crab dip. How ahout Cream Cheese Ranch Roll-ups? or Creamy Buffalo Chicken Cups? Every finger food I can think of is calorie laden!